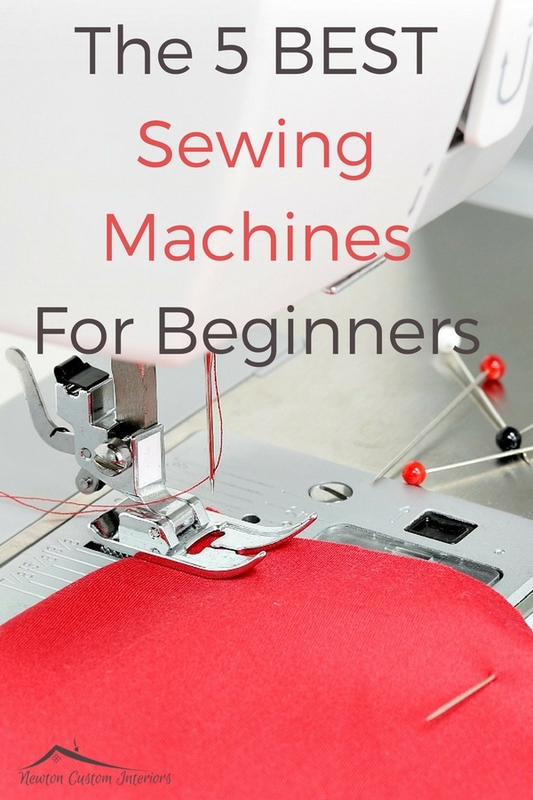 Learn what the 5 best sewing machines for beginners are. What should you look for when you’re buying a sewing machine? Do you need all the bells and whistles when you’re learning how to sew? Before we look at the top 5 sewing machines for beginners, let’s go over some tips for buying a sewing machine. Don’t buy a sewing machine that is computerized or has 100 fancy stitches. When you’re starting out with sewing, you just want to buy a basic sewing machine. It will be less confusing, and you won’t be paying for features that you don’t need. The basics that you need for a beginner sewing machine are a good solid straight stitch (you’ll be using this stitch for about 90% of your sewing projects), a zig-zag stitch and a buttonhole feature. Buy a sewing machine that has a good weight to it. The more inexpensive sewing machines are made with plastic parts on the inside. What happens when you sew on this type of machine is that the machine will start shaking because it doesn’t have enough weight to hold it still While you’re sewing. Buy a sewing machine that has good speed and strength, that has some power. Read the reviews of the sewing machines you’re considering to buy, especially if you’re going to buy your sewing machine on-line. If you have a good sewing/fabric store close to you, ask if they have sewing machines that you can try out in the store before you buy. 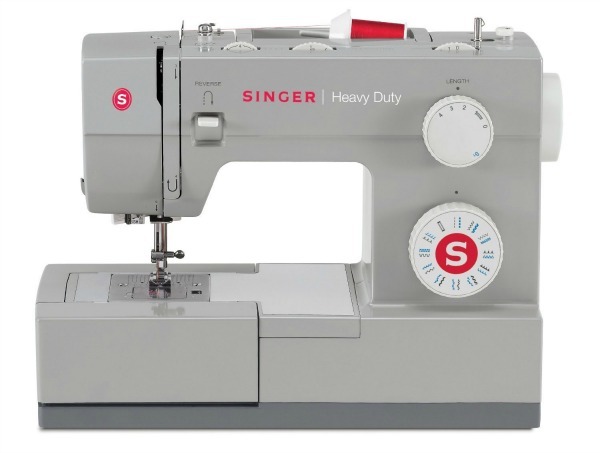 The Singer Heavy Duty 4411 is the sewing machine that I bought a few months ago, and I love it! It has all of the features that I mention above. It has a metal frame, so it doesn’t shake when I sew on it. The strength of the motor is 60% stronger than the average sewing machine, so it has some power! It has 11 basic stitches, including the straight stitch, zig-zag stitch. It also has a 4 step buttonhole feature. It is more powerful than a lot of plastic, inexpensive home sewing machines, so it sews faster (1100 stitches per minute) and can sew through heavier layers of fabric. 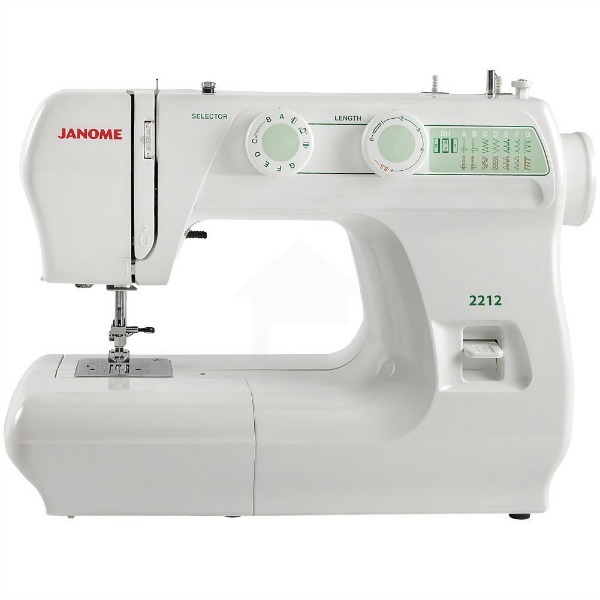 #2 – Janome 2212 The Janome 2212 is another good basic, no frills, sewing machine. It has 12 stitches, can sew 860 stitches per minute and has a 4 step buttonhole feature. 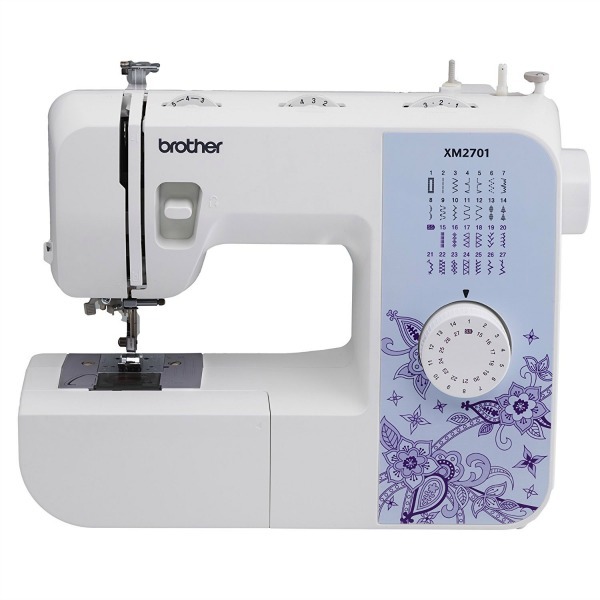 The Brother XM2701 is another good sewing machine for beginners. It has 27 stitches and 6 quick change sewing feet. Two things that I think make this sewing machine stand out are that it has a built in needle threader, and it comes with a handy instructional DVD! 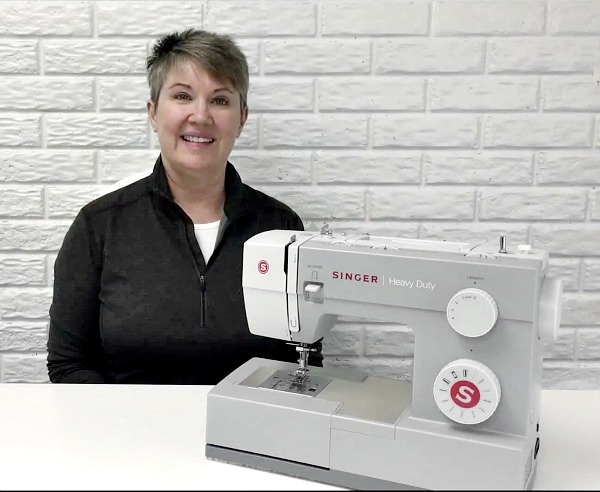 If the Singer Heavy Duty 4423 looks familiar, that’s because it’s a step up from the Singer Heavy Duty 4411 that I shared above as the #1 sewing machine for beginners. It’s got many of the same great features as the 4411, but it is a little more expensive. It has 23 stitches instead of 11, and is a little bit heavier. The 4423 has a one-step buttonhole feature instead of a four-step. It’s also great for heavier fabrics, but may have more of a learning curve than other beginner sewing machines. Ok, so this sewing machine goes against some of the tips I gave above for buying a sewing machine, but, I decided to go ahead and add it in here anyway. 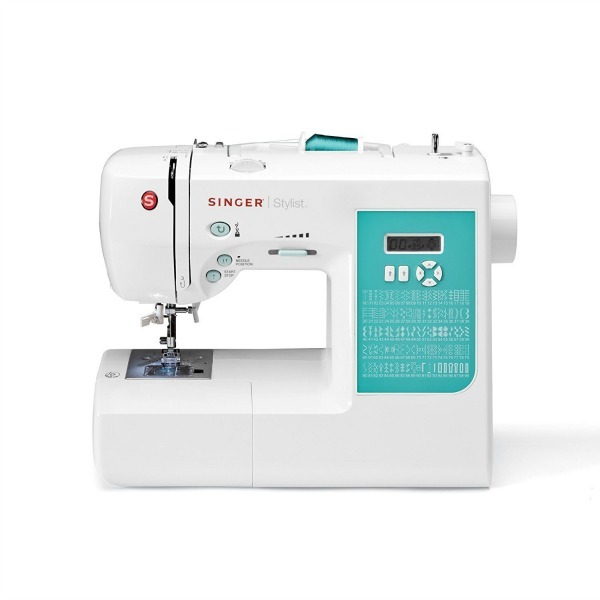 The Singer 7258 is a computerized sewing machine, and has 100 different stitches. It has really good ratings, and is supposed to be one of the best sewing machines for quilters. I hope this list of the 5 best sewing machines for beginners was helpful! Do you like to sew? What is your favorite sewing machine? Thanks Lee! Sorry you’re not happy with your sewing machine! I’m currently using a singer sewing machine that is a model for classrooms. Not a bad machine but not the one I thought I was getting when my husband offered to go pick it up at some sale they were having at the local Kmart. well long story short 10 years later I still have it. Before that I was sewing on an old Morse that was my grandmother’s which I still own and honestly it’s a better machine. You’re absolutely correct about the weight of the machine mine is too light and often isn’t up for some of the Hefty things I want to sew on it. Great list lots of good advice for the newbies. Thanks Toni! You’re right, often the older sewing machines are better!